The Kerbs are a four piece alternative rock band. The band consists of four childhood friends from Co.Mayo; Mark McHale, Alex Stupar, Noel Gallagher, and Kevin Holmes. The Kerbs formed in Spring 2017 when Mark moved back home from Australia with a suitcase full of original material waiting to be unpacked. The Kerbs have just dropped their debut single “Changes”. With no budget, a fondness for drinking tea, and by stitching together nearly 3500 photographs, the band have made a stop motion music video telling the tale of an imperfect love story between two mugs of tea. The video was written, photographed, and edited entirely by the four members of the band in just 3 weeks. It already has nearly 20,000 views across various platforms. Since then, the band have gained national attention and have even reached audiences in the UK and Europe. Most recently, The Kerbs played to a full house in their local town to launch their debut single and were blown away by all the support and energy they received from their fans and local press. 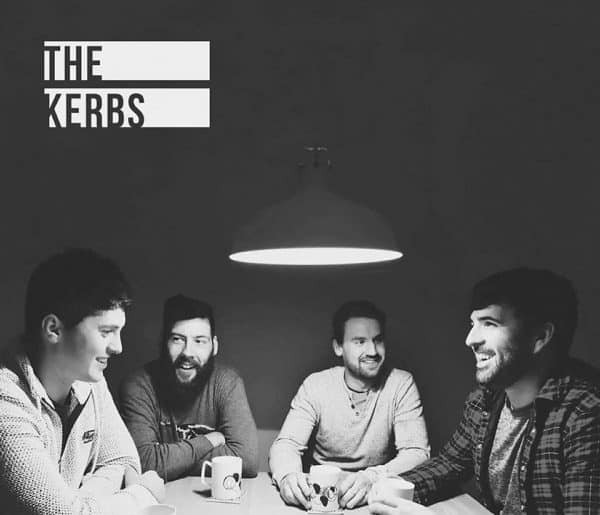 With their recent achievement, The Kerbs are preparing to take the 2018 festival season by storm and root themselves in the Irish music scene. Anticipating further success and a rapidly growing fan base, the band are already set to release their second single ‘I am Zeus’ in January 2018. Their new single, with its upbeat pop-rock rhythm, contrasts their more heartfelt debut single ‘Changes’ and will give their fans a taste of the kind of diversity to expect from their forthcoming EP, due for release in March 2018. ‘Changes’ has already been played on independent radio stations in Ireland, Germany, and the UK.